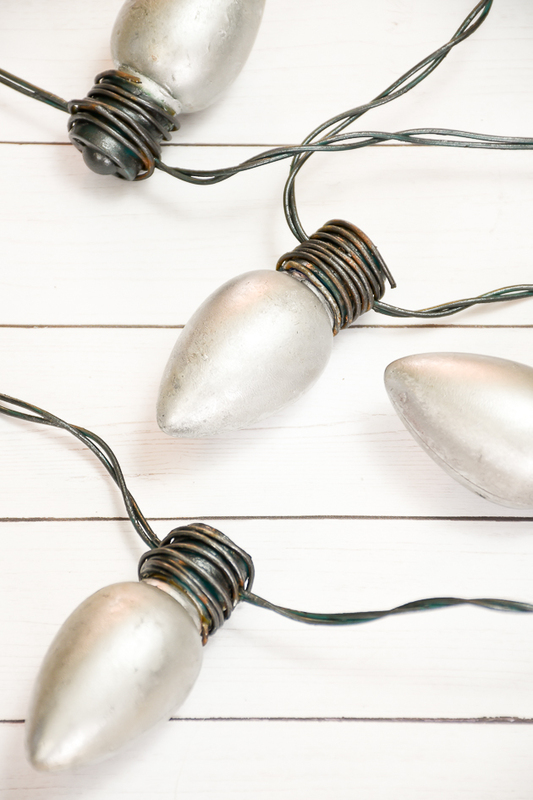 Get the look of vintage Christmas bulbs with a Dollar Tree light up Christmas bulb necklace. 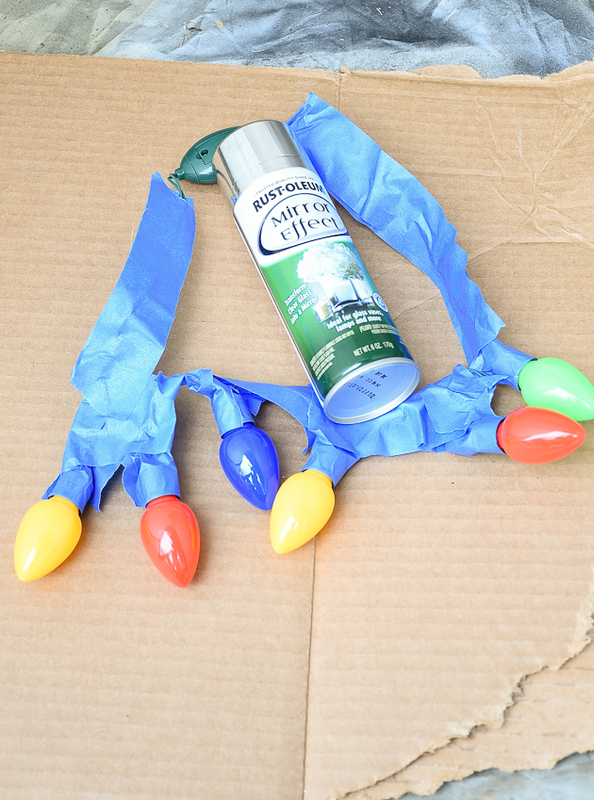 Who's ready for another Dollar Store DIY? 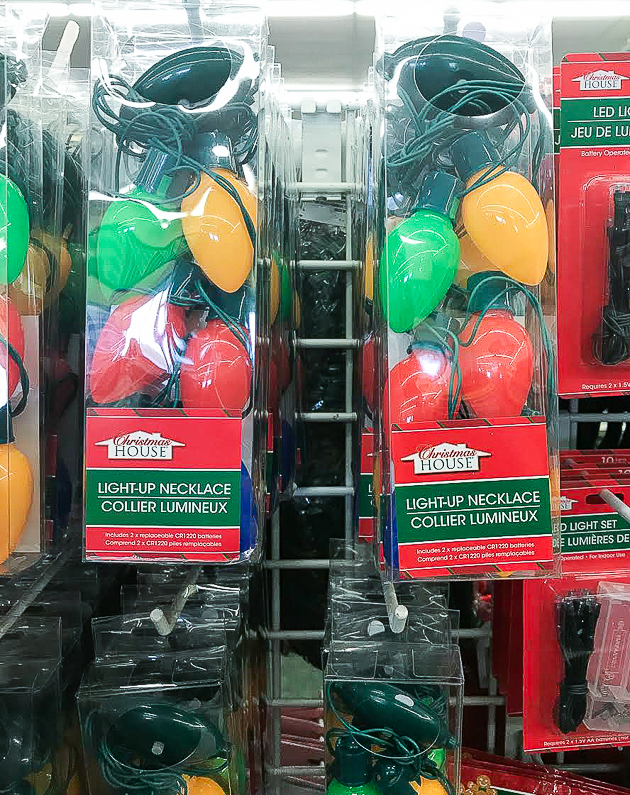 I stopped in our local Dollar Tree the other week and was excited to find a necklace made of large Christmas bulbs. They instantly took me back to my childhood, when my parents would wrap the front bushes with these large glowing bulbs. 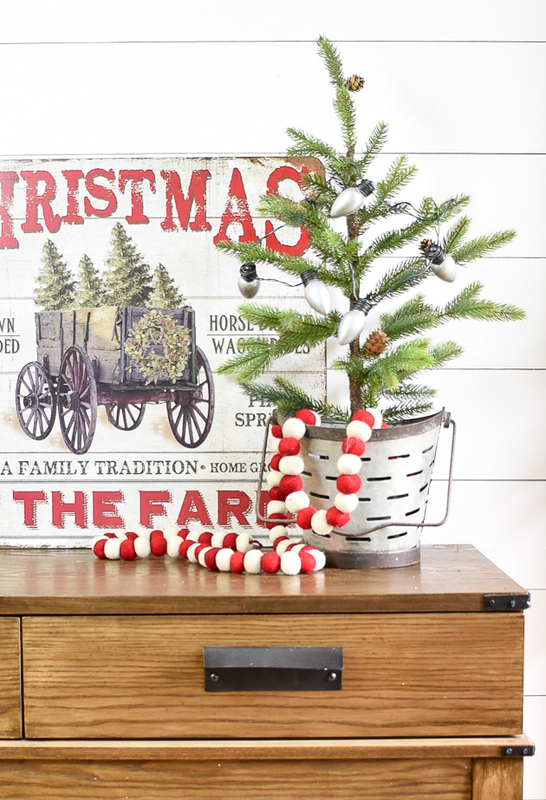 Although the Dollar Tree necklace wasn't quite the real thing, I knew I could give them a vintage inspired makeover to fit my modern farmhouses style. 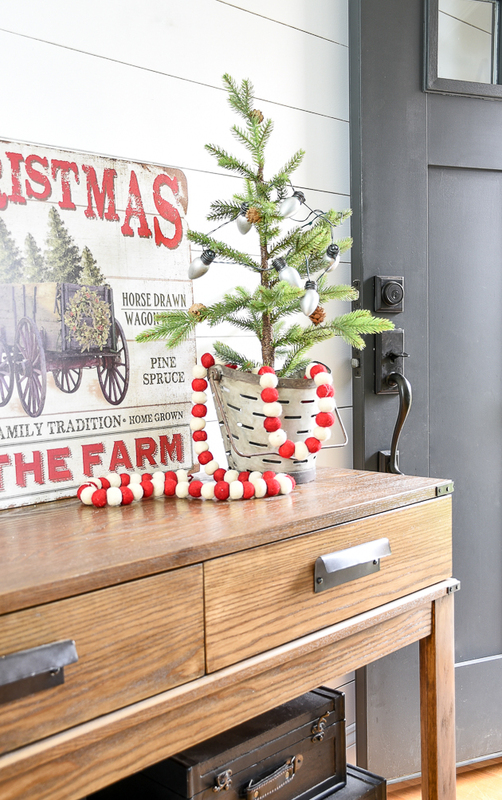 You may notice that I used pretty much the same supplies that I used for the Dollar Tree candy jar ornaments. 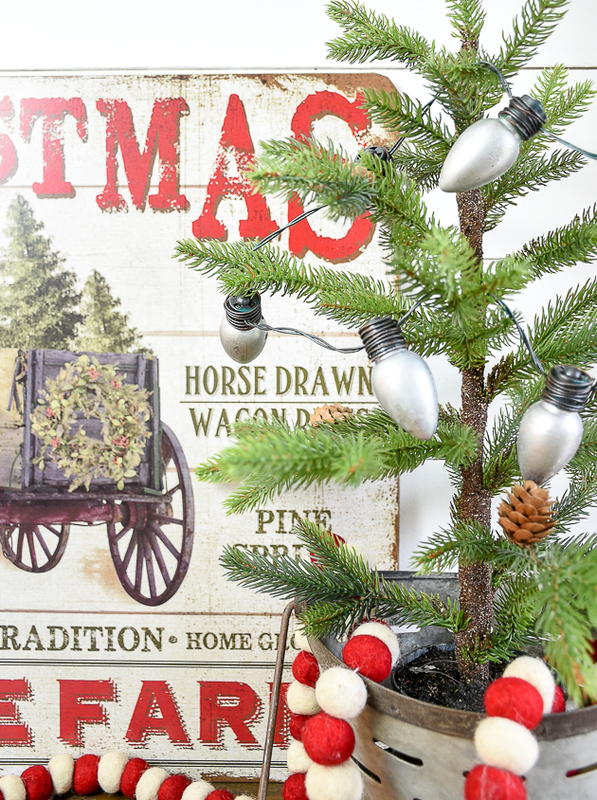 It made this project super affordable since I already had all the supplies on hand. 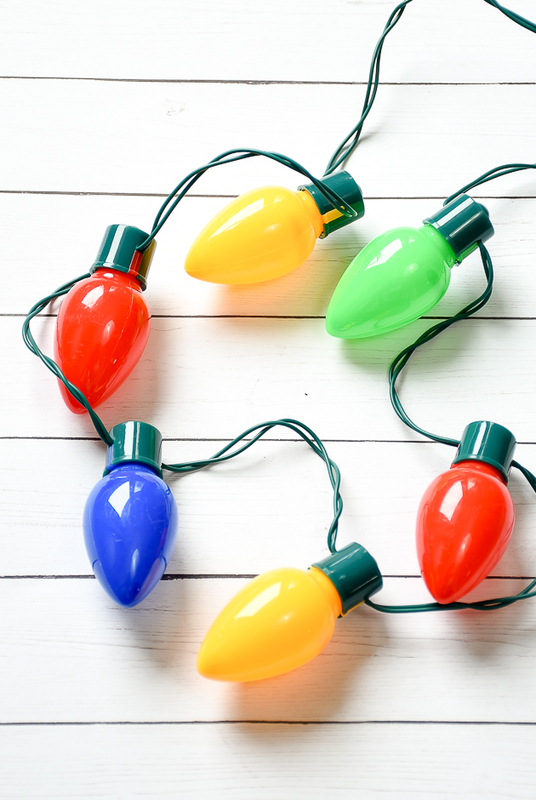 All I needed to buy was the $1.00 Christmas bulb necklace from Dollar Tree. 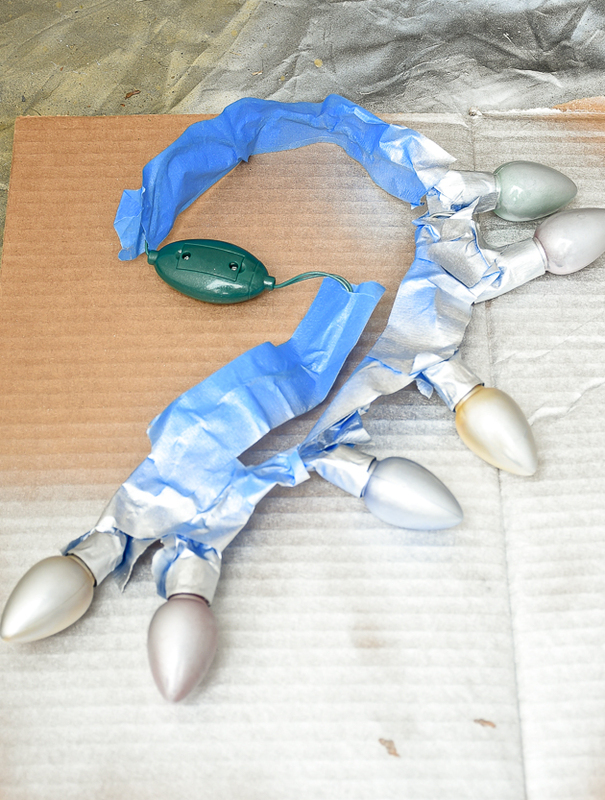 I started by wrapping the top of the bulbs and the wire with painter's tape so they wouldn't get sprayed with the Mirror Effect. As I was spraying the bulbs with Mirror Effect I realized real quick that I wouldn't be able to achieve the look I was going for. 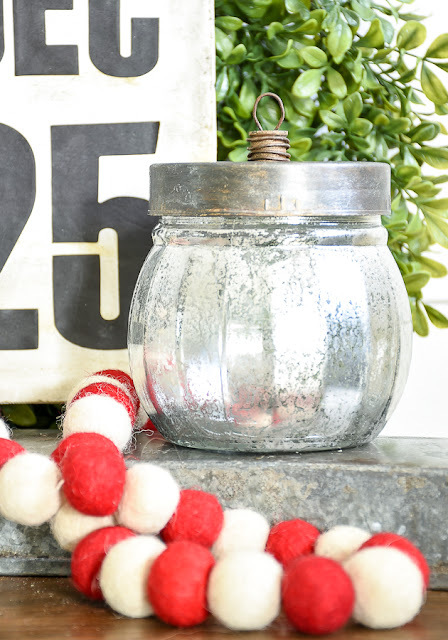 I used the same technique I did for the Christmas bulb jars (spraying a mixture of vinegar and water over top the bulbs), but due to the fact that these bulbs were colored plastic and not clear glass the Mercury glass look I had hoped to achieve totally flopped. I still liked how the paint looked, so I kept going until the bulbs were completely covered. 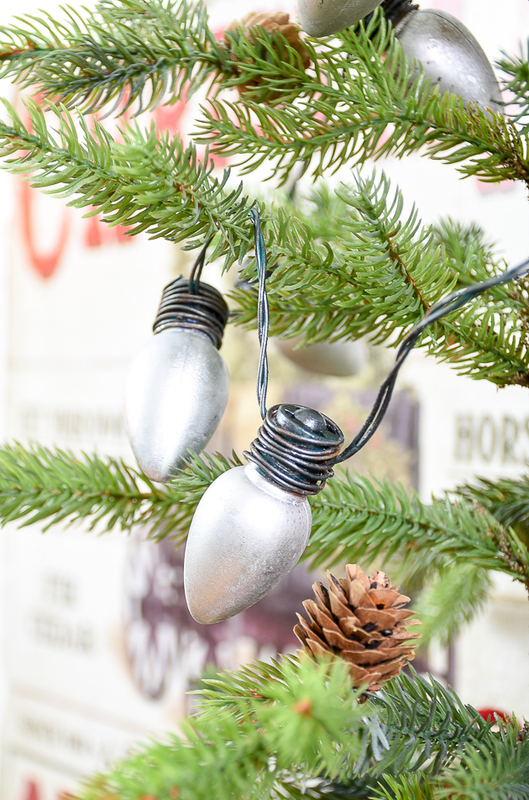 After they were dry, I used metallic Pewter craft paint to cover the cord and top of the bulbs. Craft paint easily chips when applied over plastic, but since I was going for a vintage look I liked the idea of some of the paint chipping off to reveal the original green wire. 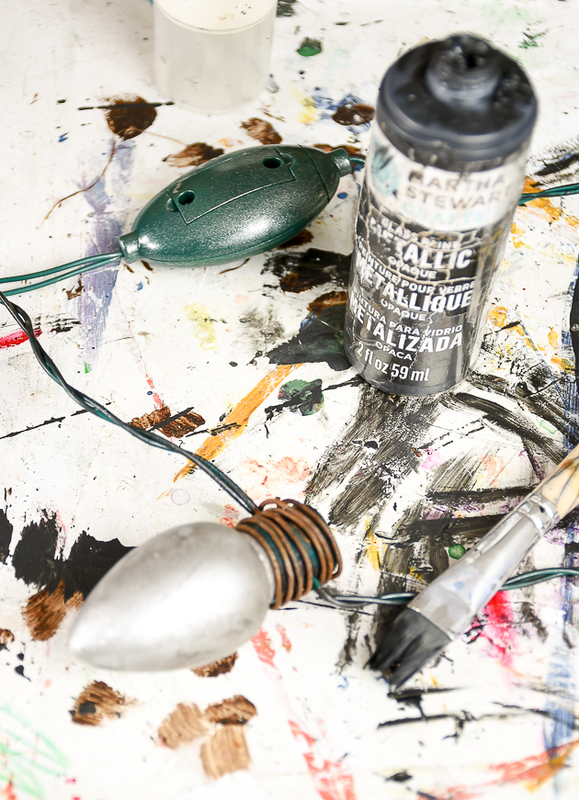 If you are wanting better adhesion you may want to use ORB spray paint instead. 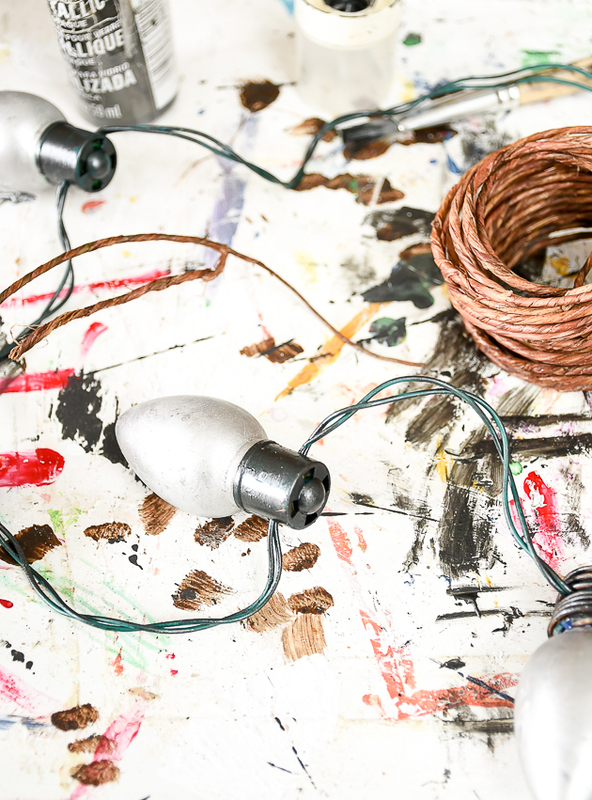 I cut enough wire to wrap around the top of each bulb (remove the outer layer to reveal the rustic wire underneath) then added another light coat of paint over top. 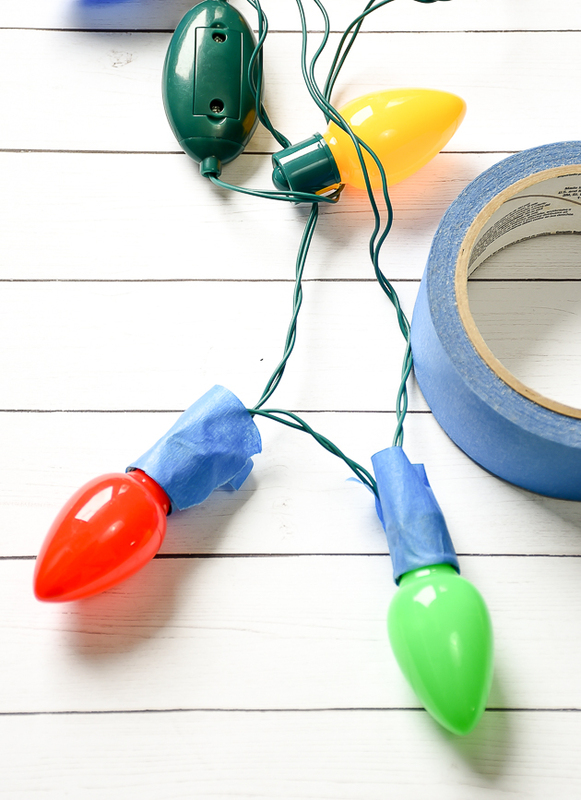 You can leave the strand as a necklace (it lights up, but the colored lights will shine through), but I decided to cut the necklace, so I could string the lights around a tree or use them as a garland. 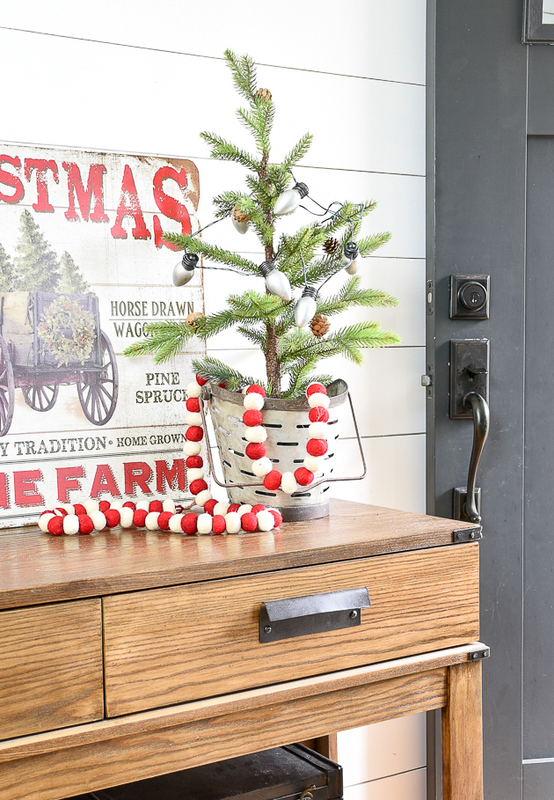 Even though they didn't turn out exactly as planned, these little vintage inspired Christmas bulbs still made the perfect addition to our Christmas decor. Where do you spray paint at? It's winter here...to cold outside now and I don't have a heated garage. We have been fortunate enough to have unseasonably warm weather, so I took advantage and pulled out my spray shelter. We don't have a heated garage either, but if I need to spray something in winter I do use my spray shelter in the garage with our large heater. 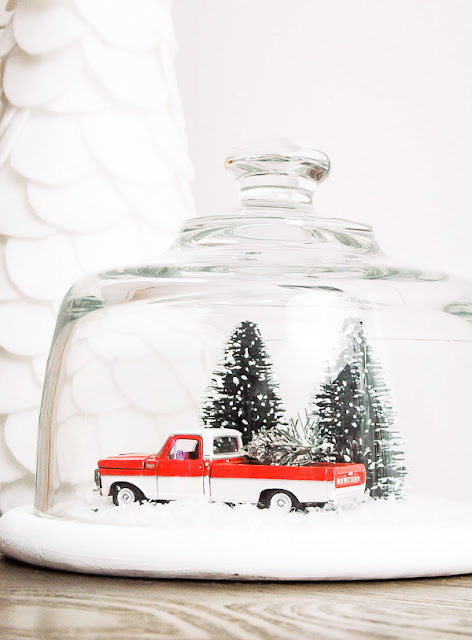 So super cute and creative! I love it! When I need to spray paint in winter. Set it on a box tray, spray the item and wait about an hour, then bring it inside to finish drying. You are so creative. I saw those necklaces, had similar memories of those lights, but that's as far as my thoughts went. Your result looks great.